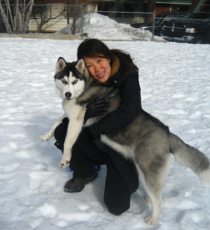 Sunny has over 15 years of experience working on Wall Street, early-stage start-ups, and nonprofits. After the Wall Street meltdown in the fall of 2008, she embarked on a trip that would change her life. She unknowingly stumbled on the building blocks of Nyima Foundation in October 2008 while volunteering at an orphanage in Tibet. The inspiration from the children led to the founding of the nonprofit in March 2009. Sunny is currently an equity analyst at DoubleLine Group, an investment management firm in Los Angeles, California. She volunteers her time as a Board Member at the Nyima Foundation. Her nonprofit work has been with the Habitat for Humanity (home construction), Braille Institute (typescriber), Holt International (adoption agency), YMCA (swim instructor), Los Angeles Unified School District (math instructor), and Jatson Chumig School & Orphanage (English teacher). Sunny received her BA in Business Economics with an emphasis in Accounting from the University of California, Santa Barbara and an MBA in Finance from Cornell University. At Cornell, she was a Roy H. Park Fellow. Alex (right in picture) joined Nyima Foundation in 2009 and brings a global perspective and passion culled from extensive travels over the last 3 decades. In addition, Alex brings a unique investment background through his over 15 years of professional experience. Alex is currently a Managing Director at Phoenix Realty Group, a vertically integrated private equity real estate company that manages over $1.4 billion in residential and commercial properties with an investor base composed of many of America's leading public pension funds, banks and insurance companies. Since 2003, Alex has managed three institutional funds, placing in excess of $230 million of equity that represents over $800 million in real estate. The transaction activity has resulted in the acquisition or development of over 5,000 residential units and over 200,000 square feet of commercial space. Since 2008, Alex has also served as an adjunct professor at the University of Southern California, having mentored and taught over 400 graduate and undergraduate students over that span. Alex received his BA in Environmental Analysis & Design from the University of California, Irvine and holds a Master’s degree in Real Estate Development from the University of Southern California. 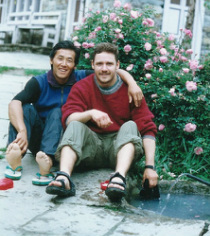 Lhak Pa met Sunny Ommanney in 2008 at a hostel in Lhasa, Tibet. She worked at the hostel as a maid and lived in an 8x8 sq. ft. room with three other maids. Although Lhak Pa wanted to attend school, she had no financial means to further her education. She is now a graduate of a 2-year college certificate in English, funded by Sunny. Lhak Pa lives in Lhasa, Tibet.